Within Teamwork Projects, you can set up some projects that you would like to use as templates for future projects. 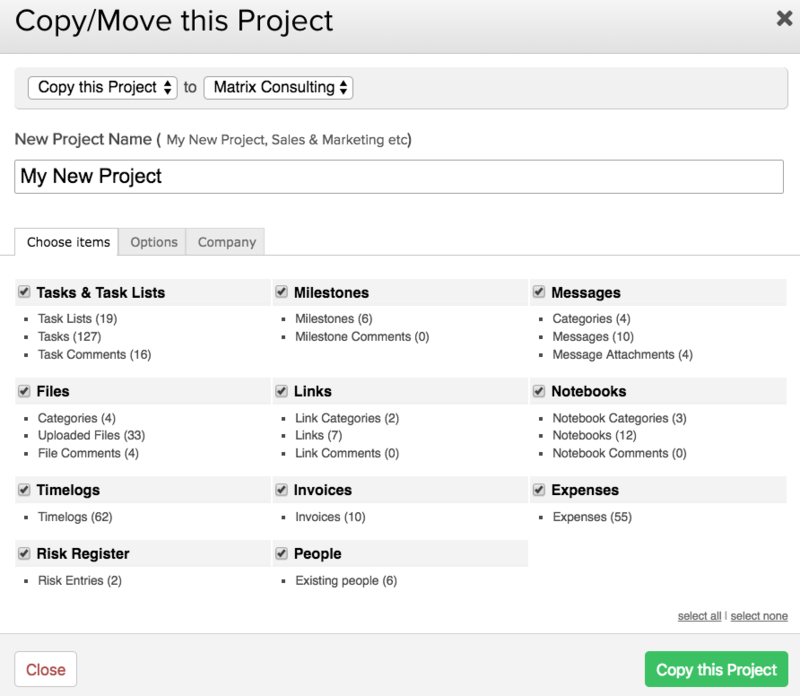 Using the copy project feature, you can create new projects as a copy of those templates, rather than new blank projects. In the copy/move modal, select copy from the dropdown. 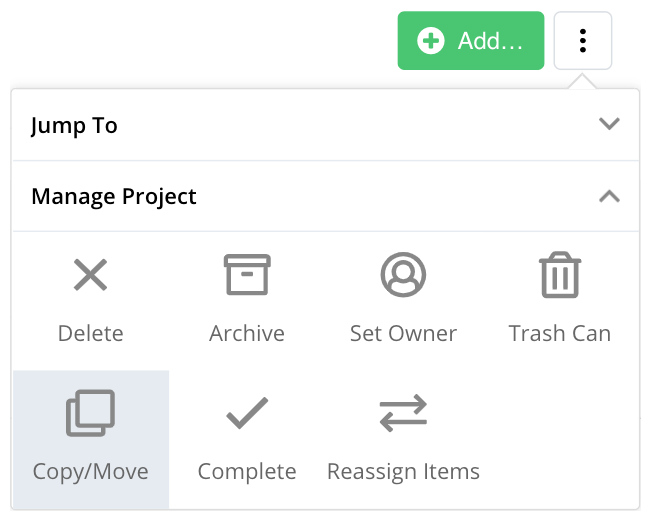 You can add a name for your new project, and you can also select which items you want to include in the new project. In the options tab, you can also choose how to manage the dates of project items, and whether to include comments, roles and uncomplete tasks and milestones. When your new project is created, all items from the existing project will be created and offset by the correct number of days from the project creation date.